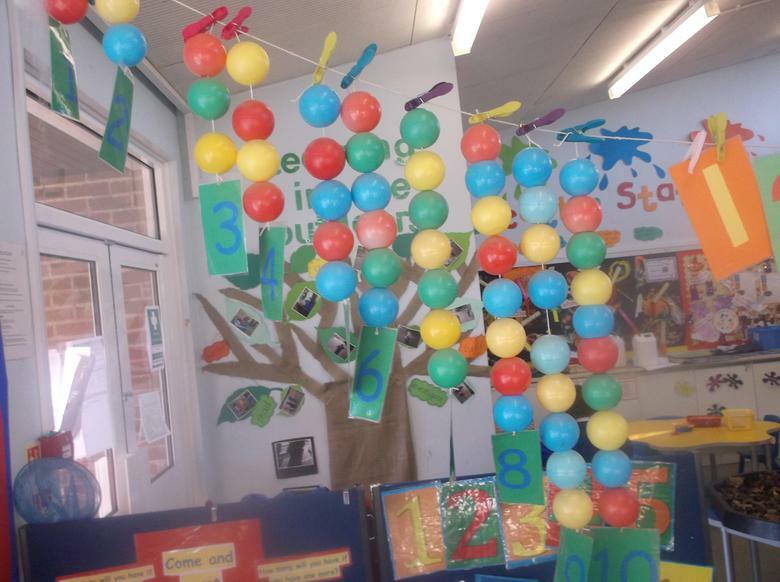 Our Foundation Stage consists of a twenty six place morning nursery class and a thirty place reception class. We have a great team of staff in the setting who work closely to meet the needs of all of the children in our care, providing a safe, stimulating and positive learning environment. 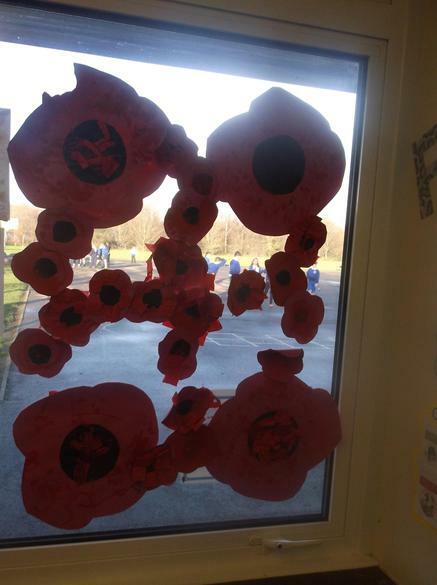 Our classroom is zoned into different themed areas to support independent learning. We have a roleplay area, healthy snack zone, messy area, a malleable area, sand and water, a writing station, creation station, computer access, small world, construction, cosy reading corner, music area, fine motor table, maths area, reflection space and last but not least an atelier area. During 'busy times' the children move freely around the space accessing all areas independently. 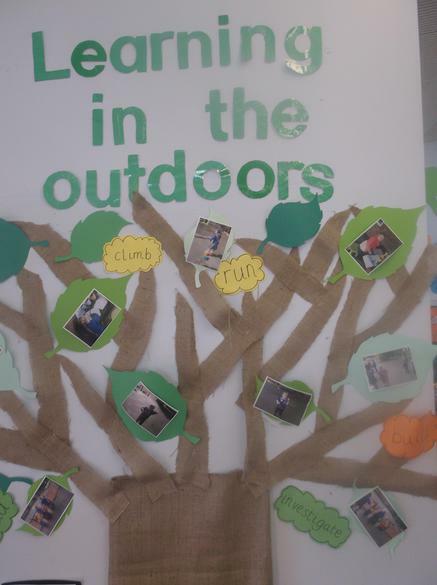 There is also freeflow access to our outdoor space where the children can challenge themselves physically as well as support the learning that happens indoors. 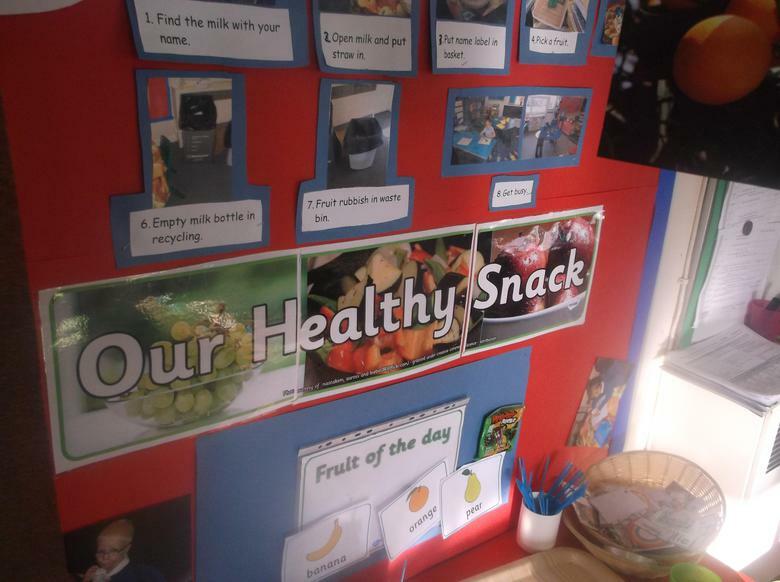 Throughout the day children will be encouraged to join in with teacher and adult led activities as well as focused maths, shared read and phonics sessions. 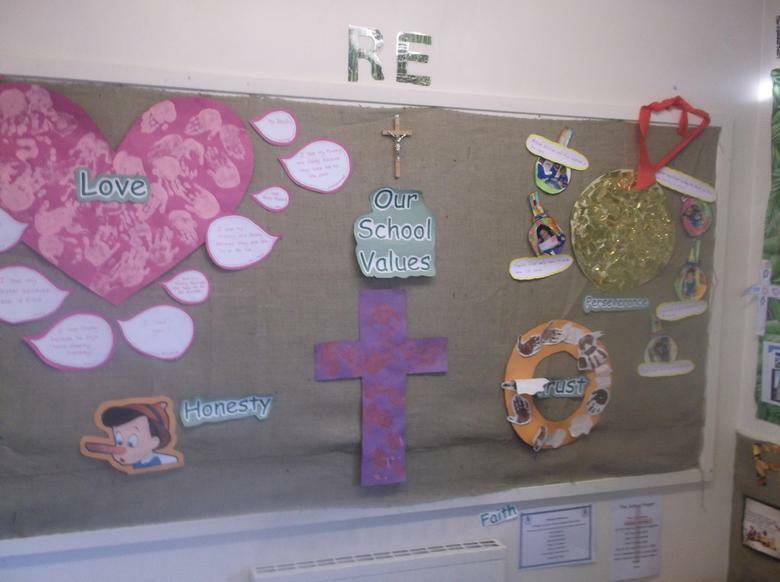 We use the children's ideas to help us plan our topics and always respond to events within the school, community and news to ensure children have a broad and balanced learning experience. We are always observing the children to gain evidence for assessments and use this information to plan individual 'next steps' in learning. We use 'Tapestry', the online learning journey to record observations and celebrate and share children's achievements and successes. We use individual learning journey folders to keep everything safe for the children and parents to look at. Our 'stay and play' and 'stay and read' sessions are the perfect opportunity for sharing the children's learning joureny and for encouraging parents to contribute to them using our 'wow stars'. We also encourage parents to comment on 'Tapestry' observations as well as share and celebrate children's experiences at home. 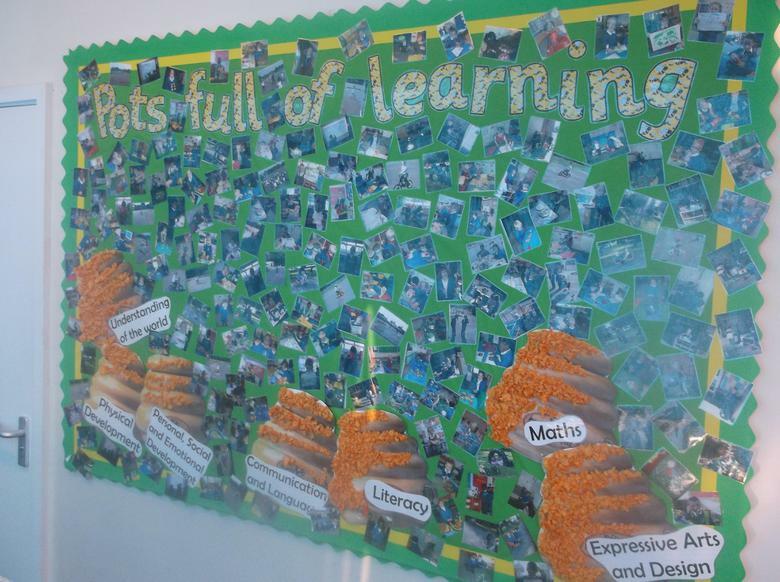 We are always evolving and looking for new and exciting ways to enhance the children's learning experience. This year we are looking forward to continuing to use the 'novel approach' in our planning. We will be using some fantastic ideas relating to 'reciprocal reading' to encourage the children to think carefully about the stories they hear and read. We will be encouraging children to develop a 'growth mindset' and will be asking them to think how they learn using their 'learning powers!'. As a Foundation Stage this year we have placed a high emphasis on engagement, with the aim to further develop children's communication and language and experiences of life in general. We have invited in visitors, provided experiences and 'wow starter' introductions to our new stories to all help engage the children and ignite a love for learning. Wow Starter - Injured dog, What should we do? A visit from the nurse and an hygiene experiment. A visit from a Police Officer. Wow starter - Is the Gruffalo in the woods? Where has this fur come from? Rugby Ed to promote the rugby world cup. Developing our planting area in teh garden. We planted a bulb each for Mother's Day. We love to cook regularly in Foundation Stage. Talkingand learning about road safety. How many strides over the bridge? A visit to the local park. Looking for wildlife on our local walk. From the audit, we noticed that some children, especially some of our summer born boys only choose to write when directed by an adult. We have planned in time to target these children by tapping into their interests and support them in their writing. The reception children have been using their 'writing steps to success' to help them find ways to independently support their writing. Every day we celebrate writing and mark making with a 'writer of the day!'. Letter to parents - Writing focus and examples of age related expecatation of writing. 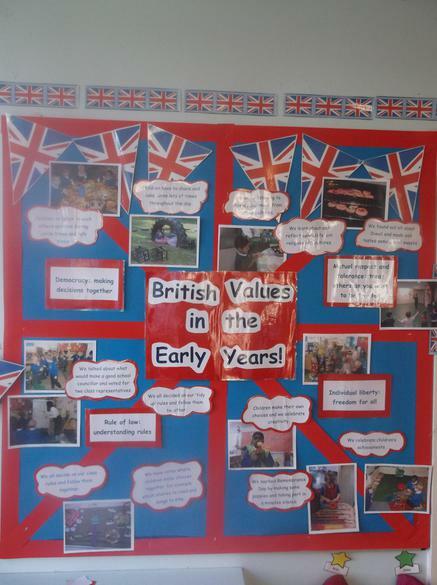 Our Reception writing 'Steps to Sucess'. Fine motor activities and 'Funky Fingers'. Mark making in the creative area. Letters to teh tooth fairy. Solving problems in the construction area. Smartie the Penguin - Online safety in the early years.